Our own Mr S W R D Bandaranaike (1899 - 1959) belonged to this subset, which included the greatest philosopher, greatest scientist, greatest painter, greatest inventor, greatest statesman and so on, of this era. Let me not pile on the agony: they were one and all highly intelligent men who were born in the 19th Century and died in the 20th Century in the fullness of years and honours. Each and every one of them was willy-nilly addicted to tobacco. How and why did that happen? That is the question. History records that the Spaniard Christopher Columbus discovered America in which the tobacco plant is endemic. He introduced the evil weed to Europe in the 15th Century. Tobacco was brought to our country by the Portugese and the Dutch. The Dutch in particular were very addicted to tobacco. However, even in the United States, only a minority smoked until the 20th Century because it was an expensive habit. In the 19th Century, those who smoked regularly were well-to-do, and that was one reason why the rich and the famous became addicted to tobacco before the masses. It was in the 20th Century – called by some the Tobacco Century – that because of mass scale production of cigarettes, smoking became the deadly, widespread, fashionable, epidemic. In the event, in the 20th Century, tobacco killed 100 million people the world over. The critical question raised by the senior journalist was how and why great and good people who were both highly intelligent and educated became addicted to tobacco. The simplest explanation is that when these famous people listed above started to smoke, analytical chemistry had not discovered and made public, the carcinogenic and toxic nature of tobacco smoke. What is more, the tobacco industry did its diabolical best to conceal the ill-effects of tobacco smoking that had become evident to them. The industry was able to hire medical men to advertise cigarettes glamorously and vigorously. At a time when the causal relationship between tobacco smoking and cancer of the lung was beyond doubt, an American surgeon called Max Cutler went so far as to argue speciously that simply because one finds bull frogs after a rain, does not mean it rained bull frogs. 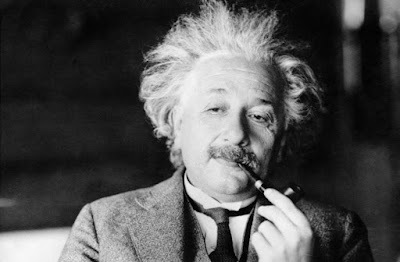 There is no evidence that Bertrand Russell and Albert Einstein when they started to smoke in their youth in the 19th Century, knew what every secondary school child knows today, namely, that tobacco smoke contains numerous carcinogens and toxic substances like DDT, hydrogen cyanide, carbon monoxide, formaldehyde and so on. Therefore sheer ignorance of these facts was a factor which played a part in highly intelligent people becoming tobacco addicts. Today, highly intelligent people are certainly not tobacco addicts. I regret to have to say that these two exceptional men I greatly admire, set very bad examples to the young generations they greatly influenced. Bertrand Russell famously said that he smoked every waking hour of his adult life. He even claimed, only half in jest, that tobacco once actually saved his life. This had to do with an incident in which he insisted on travelling in the smoking section of a plane, which crashed into the sea. As it happened, everyone in the non-smoking section died. Based on this fact, the greatest logician of the 20th Century argued that smoking saved his life! For the life of me, I cannot spot the fallacy in his reasoning. Perhaps my friend Cardiologist Dr Upul Wijayawardhana or the best Botany lecturer I ever had, Dr Upatissa Pethiyagoda, could help me to deconstruct Russell’s logic. Sir Ivor Jennings (1903 – 1965), our first and best Vice-Chancellor, was a hopeless tobacco addict, who was a very bad example to generations of undergraduates from 1942 to 1955. His fascinating autobiography called The Road to Peradeniya has a chapter called "Constitution Making". It is well-known that Sir Ivor was Mr D S Senanayake’s unofficial constitutional advisor. He is credited with the authorship of the Constitution which conferred Dominion Status on our country in 1948. In one place in his autobiography, he says that it fell to his lot in 1946 to draft our Constitution at break-neck speed. He could not do that without smoking. He says that "the force with which Ceylon’s case was put" depended on his being able to smoke non-stop for three days and nights. In due course, our country got our independence in 1948. Poor Sir Ivor, he died in 1965 at age 62, of a bowel cancer, which is known to be significantly associated with tobacco smoking. As in many other cases, the tobacco industry had systematically and seductively murdered Sir Ivor Jennings at his own expense.